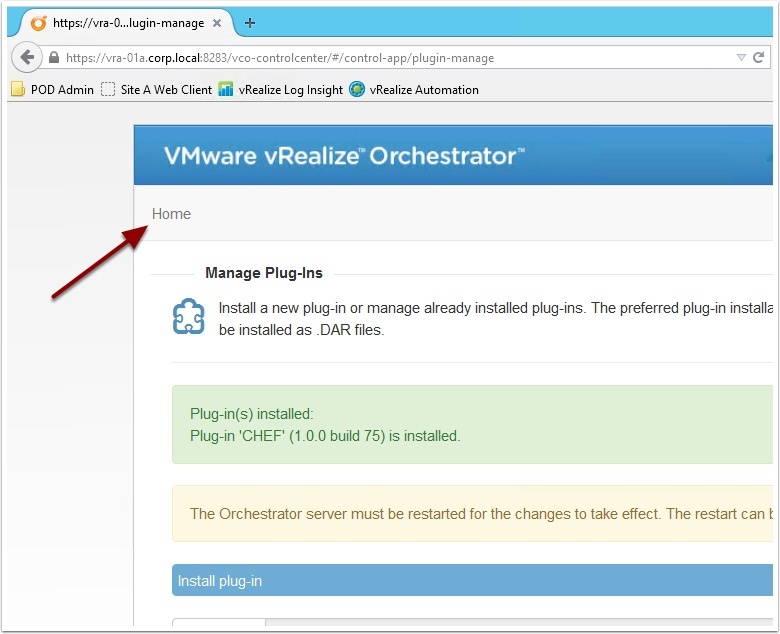 In this guide I will walk you through installing and configuring the new Chef Plugin for vRealize Orchestrator. 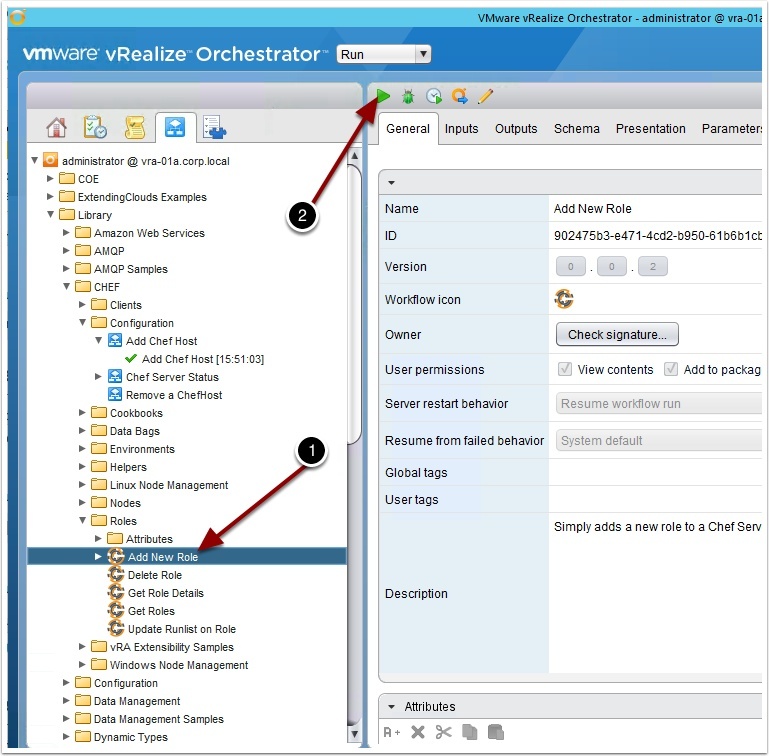 This allows vRO to automate common tasks in Chef as well as integrate with cloud automation solutions like vRealize Automation. The plug-in includes out of the box workflows for the most common Chef tasks so there is no need for you to reinvent the wheel creating your own custom workflows anymore. Let’s get started. 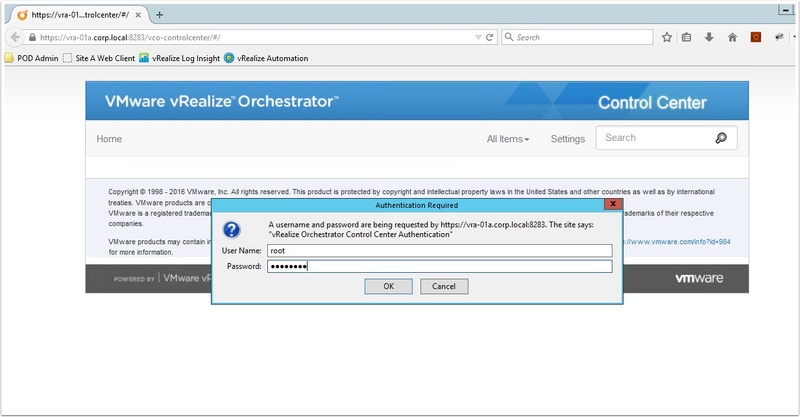 Open the vRealize Orchestrator Control Center and login as root and what ever password you set when you first installed the appliance. 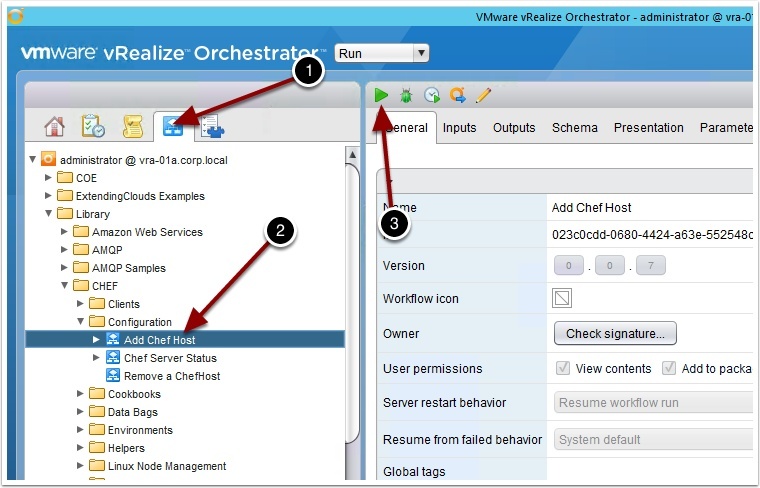 You’re all ready to control Chef from vRealize Orchestrator! Enjoy! 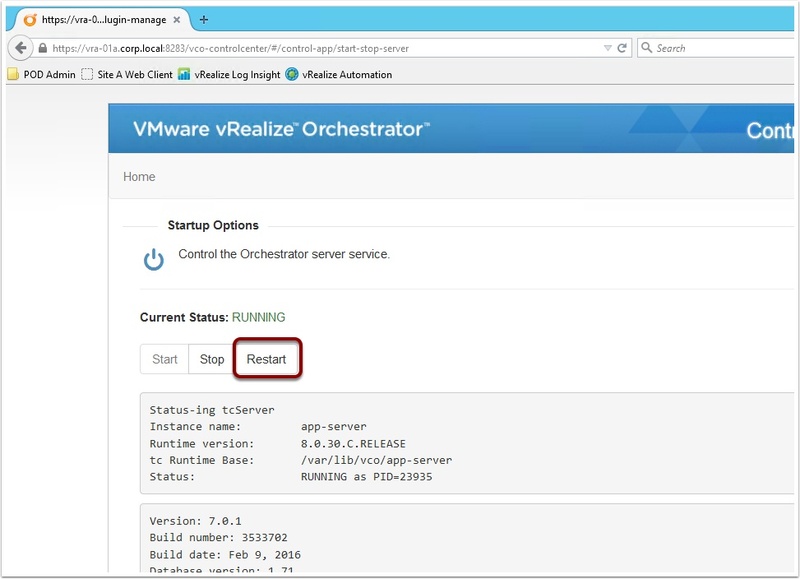 This entry was posted in Chef, vRO and tagged Chef, configure, how, install, orchstrator, plugin, to, vCO, vmware, vRo by Ryan Kelly. Bookmark the permalink. I do the same thing all the time! Glad you figured it out. 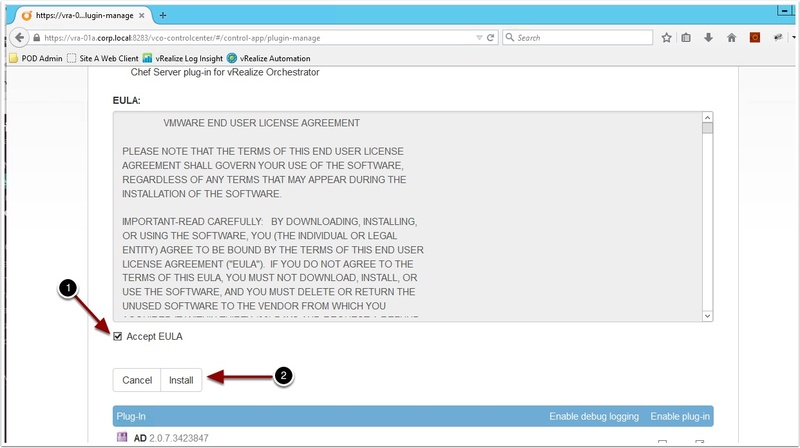 I believe some steps you’re missing in this tutorial which is relevant to install chef-client on user VM. I follow all of your steps but getting only hostname entries in chef server when node added. I logged to user VM and checked but chef client packages not installed. Thanks for sharing the great blog and in details description, appreciate your efforts for sharing the knowledge.. 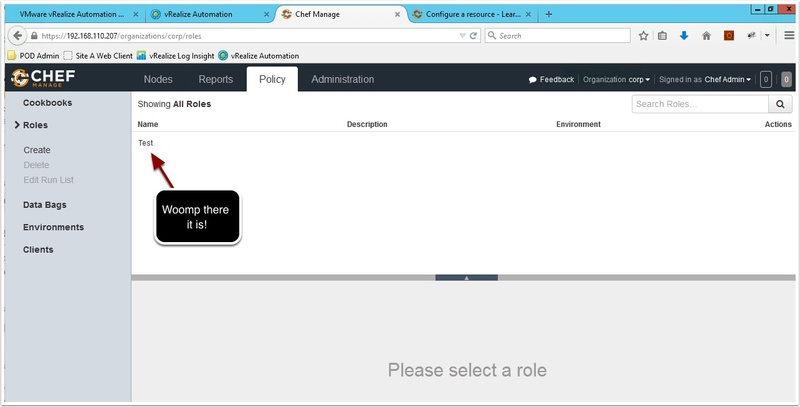 I have followed your steps and able to integrate chef with VRA but still my provisioned VMs doesn’t have the chef client installed.. also please share if there is any links for windows VM chef agent integration tutorials. Thank you for the kind words. 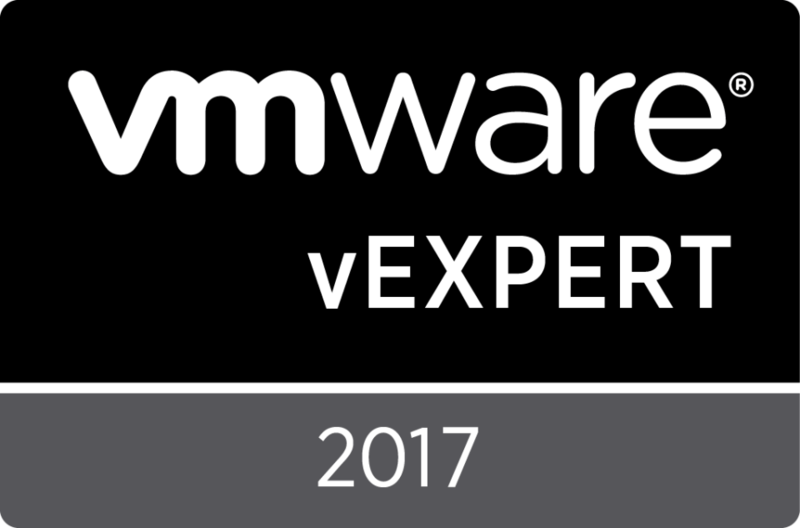 Does the provisioned VM have access to the internet? The procedure is expecting to be able to pull binaries from Chef over the internet. Can I install a plugin using API REST? I would like to do it automatically. were are running into a issue with the chef.guestaccount which seems will only work as root. Even with the password encrypted it shows up as plain text under the deployment properties. if I check the vm properties file it is encrypted. We are running a script to change the password after deployment. Unfortunately we have to wait until the Chef pieces are completed which leaves the box opne to hacking with the root account for a few minutes,. Is there anyway to get that password encrypted under the deployment properties? Hi Ryan, this is an excellent post, thank you for sharing this. 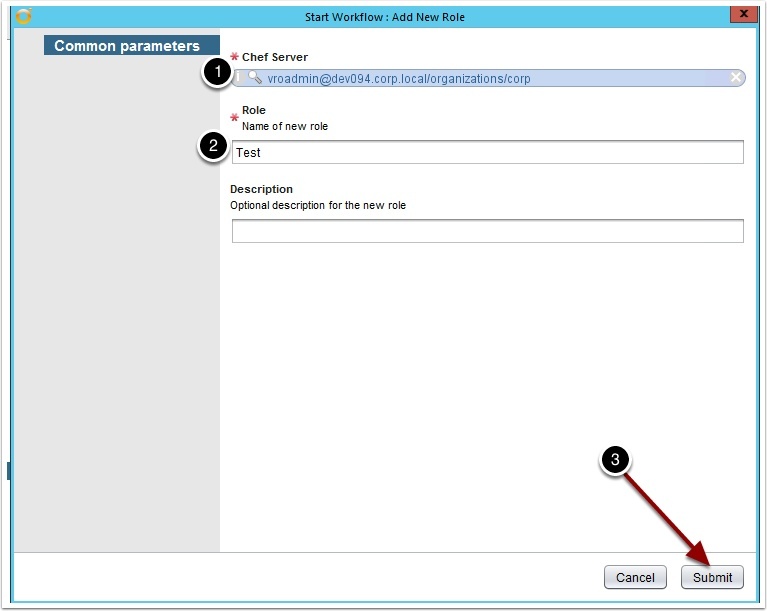 I do have a question for you sir, I am running into a problem when testing “Add New Role”, getting (Error from Chef Server: “Invalid signature for user or client ‘tkhan'” (Workflow:Add New Role / Add Role (item2)#1)). I found two .pem certs on my Chef server, the user cert (tkhan.pem) and the organization cert (/etc/opscode/cumulus-validator.pem). I’ve unregistered/registered my Chef server with both certs, yet Add New Role testing still fails. Any thoughts on how to rectify this? Thank you kindly. Issue fixed, I was keep trying the server certs. The correct cert was found under Chef Workstation under “/root/chef-repo/.chef/tkhan.pem”. Thanks again. Have you already completed this? 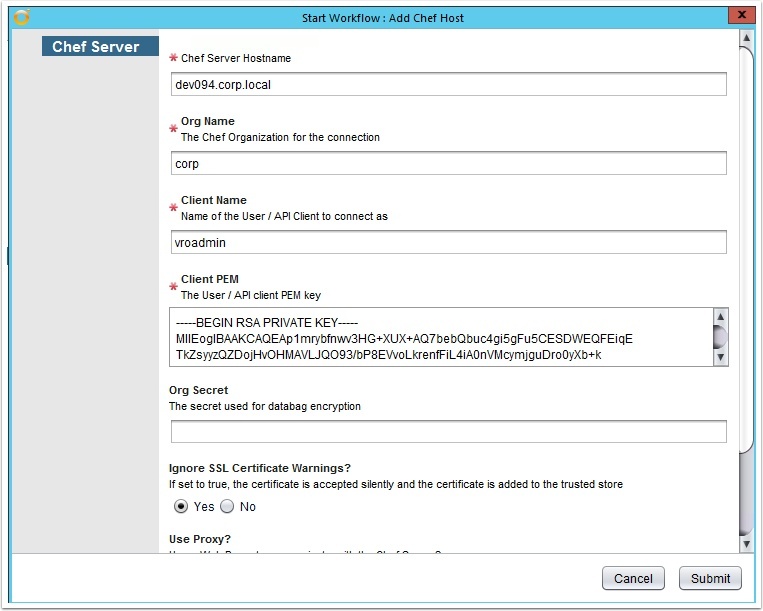 http://www.vmtocloud.com/how-to-integrate-vrealize-automation-7-with-chef/ when we provision the VM from vRA the workflow creates the secret key in the guest then registers with the Chef Server. Also we have a Chef and vRA slack group over at VMware code https://code.vmware.com/home may want to post this question there as well.